Mark Kelly is gearing up for Marillion’s first US Tour in some eight years. We talked to Mark as he was getting ready to leave with the crew and fly over to the US the next day. Mark updated us on the upcoming album along with a talk about his gear and setups. We even asked him what Fish album he would like to play in its entirety if the band ever decided to do so. Sit back and enjoy. RSC: You guys certainly have been busy with working on the new album Sounds That Can’t Be Made and preparing for your first US Tour in a long time. Can you fill us in on all that is going on with both. Mark Kelly: Your right, it’s been eight years since our last tour? We’re really excited about coming over. I should just tell you that every time we tour and put an album out we always say to Lucy Jordache who organizes all the tours “we want to tour the States”. We tell the fans “we should be coming this time”. The reason it doesn’t happen is because we tried time and again to get the local promoters to agree to a fifty dollar ticket price. Which of course they go “it’s too expensive” or “you’re not big enough”or “It’s just not gonna work”. So we had a real struggle with that. Finally they’ve agreed to it and I think we’ve been proved right. That price we say is what works out is what the ticket price needs to be for us to get over to the states and not lose money. We know that people will pay it because so many people come from the States to see us in Europe or come to Canada. We knew that the fans would pay if we would come and tour so it’s finally arrived, this is great! The album isn’t finished yet. I am still working on my parts. I will be taking a laptop on the road with me with some sound files and stuff and I’ll be doing a few more bits. We’re almost there. We plan to have the recording finished and the mixing done by the end of July. So we’re gonna try a couple of new songs on the tour. RSC: How does your studio setup vary from your live set up? MK: Well in terms of the instruments I use not at all. Basically what I have is three keyboards, a computer and a bunch of VST instruments. So when I’m recording obviously the VST instruments are used from within CuBase which is what I use for recording. When I’m touring its the same instruments they are in sort of a virtual rack called Forte by a company called Brainspawn, which is an American company. Its literally the same sound, the same instruments. In some ways it makes my life easy because if I create a sound I can save it in the computer and when it comes to playing it live I can recall it and its not a problem. It’s not like the old days when you can’t get a sound on an old analog synth you have to mark the positions of all the knobs with a chinagraph if you ever want to get back there again. That’s pretty much it really. RSC: So you only bring three keyboards out on the road with you as well? MK: Yeah it’s not like back in the eighties when I had like nine keyboards or something its just not necessary these days. You can pretty much connect any keyboard to any sound source. The three keyboards are essentially a Bachmann is a weighted piano keyboard for playing piano. The middle one is a Korg Karma which I use the internal sounds from as well. The top one is a USB mini controller. Fairly straightforward stuff that most keyboard players would totally be comfortable with. RSC: So with the setup you have can you pull just about any Marillion song out of the catalog at any time? You’ve got them all programmed? MK: I’m getting to that stage, I probably got maybe 150 songs programmed up to go. I don’t think I can play 150 songs without some practice but all the sounds are there. So its just a case of pressing a button on the mouse and off you go. You can recall songs that we haven’t played for five or six years. To be honest the sound part is the easy part these days. It’s when we do these weekends and we play three nights in a row with three different sets its about seven hours of music we have to remember. Thats when it get sort of gets tricky you know. RSC: How do you guys go about decide which songs to perform on a particular tour? How do you guys go about choosing it? MK: Well for the US tour its tricky. We use a number of criteria really to decide. We do think about it a lot. We argue about it sometimes. First of all we try to please ourselves, we try to choose songs that we want to play and that’s not always easy because we don’t agree on what songs we want to play. Secondly we’ll want to play some stuff from the new album. I think its important that you put a show together of songs that people want to hear. But then again its difficult to find out what people want to hear. It’s not always easy to know. In the case of this US tour because we haven’t toured with Somewhere Else or Happiness Is The Road and then we got the new one which isn’t quite finished yet and we want to play some of the old favorites. Its a tricky juggling job to try and fit that all into a two hour show. When we are doing the shows in New York, Chicago and LA cause we are playing two nights. We are gonna be doing a different show each night, completely different. So that will give us four, four and a half hours to play with. We can cover a lot of ground there over two nights. Hopefully we’ll get it right. It’s just a case of doing what we think will work and judging what audience reaction is, getting feedback from what people what they think you can read about it on the internet the next day. We might make some changes hopefully we’ll get it right. We’ve been doing it for a long time, I think it should be fine. 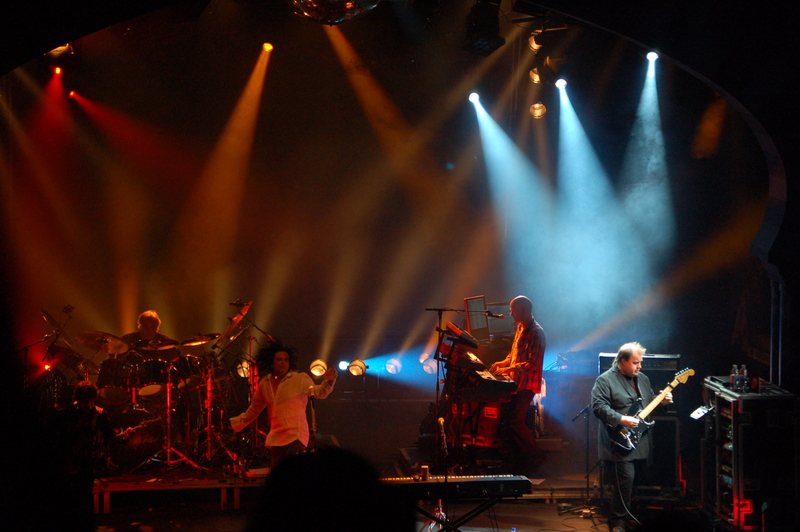 RSC: What song or songs do you feel are the best overall that Marillion has ever recorded? MK: Well the difference between songs that you think are our best songs to listen to or which songs are our best to play. If I had to choose a few. I think “Neverland” is up there with the best of our stuff. I’d also say “This Strange Engine”, I’d say “Invisible Man”….god..I’m just trying to think, “Out of This World” I really like. This is just my opinion. RSC: Those are mostly the longer songs. MK: Its one of those things with the longer songs, our fans seem to prefer the long songs I think its just because its a bit of a musical journey. Something they can get their teeth into. Too many of these long songs some of them twenty minutes each thats not many songs for a show. We’ll definitely be playing some of those anyway. RSC: Say that on one of the convention shows you guys were to play one of the Fish albums in its entirety, what one would you like to play? MK: Well I don’t think that would be likely, but the one that’s probably the most likely would be Misplaced Childhood. Because I think over the years Steve has sung pretty much all of the album at various times. Where its definitely not Script For A Jester’s Tear or Fugazi. Clutching At Straws for me there’s a few really weak songs on the album that I wouldn’t really want to play. It’s not something we’re planning to do. 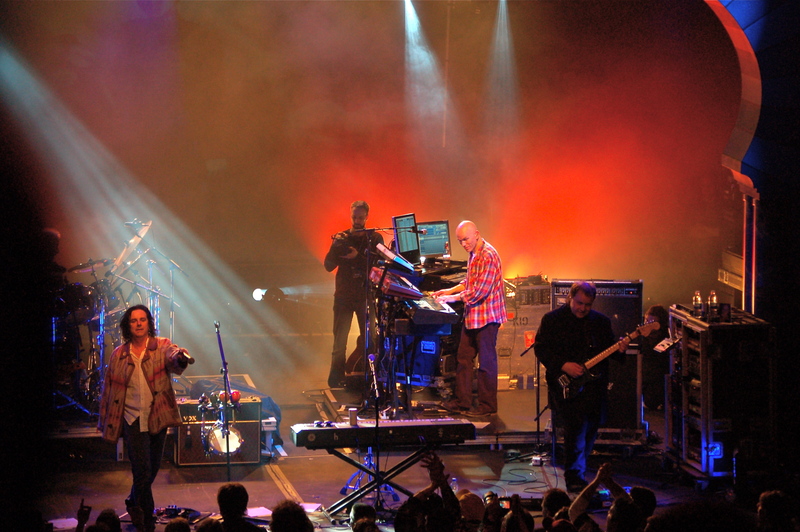 RSC: You have now done two Marillion weekends in Montreal with a third scheduled for next year, tell us about your overall experience about them so far. MK: It’s been really, really good. So good that there’s a song on the new album which is a bit of a tribute to the Montreal experience if you like. It’d be nice to have one in the US. To be honest the biggest problem with trying to tour the US is your government. Getting in and out of the US, is so difficult and so expensive the next best thing is we can go to Montreal. It’s one of those things, a fact of life that getting a visa to come to America these days is very hard for people over here. RSC: What do you do during the downtime between the shows in Montreal? MK: There are a few other things happening in the local pubs and stuff. I organized a fun run with some of the fans. A couple hundred of us went running up a hill which nearly killed me (laughs). We find stuff to do. The worse thing its usually freezing cold there in April. We should do one in Las Vegas or LA to be honest. We did look into doing one in Las Vegas it was just stupidly expensive to get a venue. Which is a shame cause it could be fun. Special Thanks to Kim Estlund for all her hard work getting this set up!